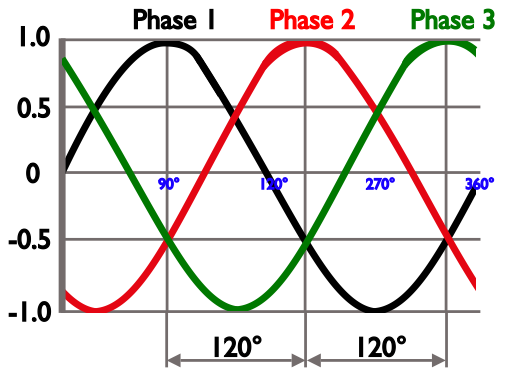 In the UK, the industrial electrical supply is a three phase voltage sine wave – each phase is 120˚ apart operating at a frequency of 50Hz (or cycles per second). In practice however, the mains is not a pure sine wave. Harmonic distortion is caused by special loads – non-linear loads – distort the shape of the voltage sine wave by adding harmonics distortion to the mains. 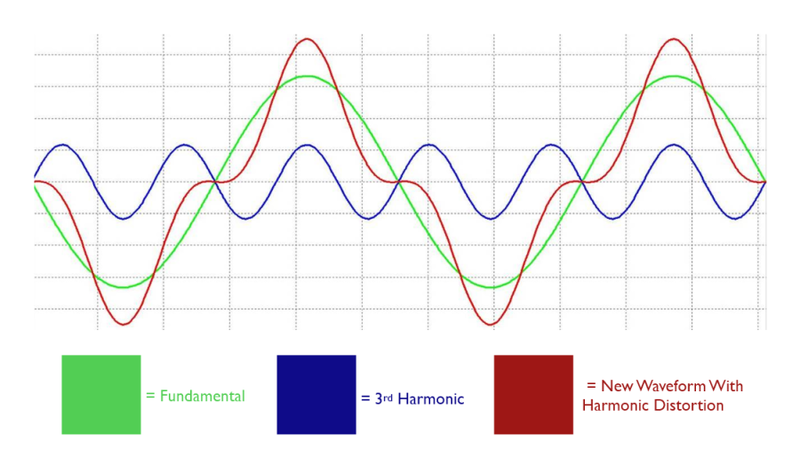 A harmonic is a multiple of the fundamental frequency – in this case 50Hz; the second harmonic is at 100Hz; the third harmonic at 150Hz etc. These harmonic waveforms are added to the fundamental creating a distorted sine wave. Examples of non-linear loads, items that are likely to cause harmonic distortion are: computer power supplies, fluorescent lamp controllers, industrial rectifiers and inverters. Overheating of distribution equipment (cables, transformers, generators) leading to de-rating in some cases. High voltages and circulating currents from harmonic resonance. Harmonics can be reduced at source. IDS supply and install low harmonic drives which reduces the harmonics produced to practically zero. If this is impractical, then we can fit Active Filters. These Filters measure the harmonics on a system and ‘squirt in’ anti-phase currents at the correct harmonic frequency to cancel out the harmonics, working in a similar manner to noise cancelling headphones. Fitting of low harmonics inverters rather than the standard ones. Addition of power quality filters (PQFs) which monitor and cancel out unwanted harmonics. Carry on there’s no problem! This would be detailed in a comprehensive report (see below) with the advised action plan.